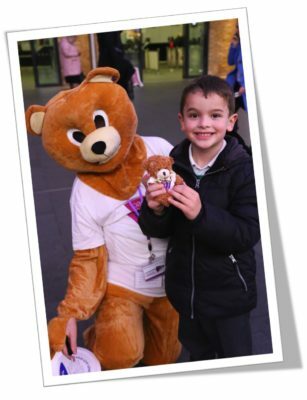 We are looking for volunteers from across the UK and Northern Ireland who are passionate about raising funds to help fund our research, awareness campaigns and medical education. What is a Fundraising and Events Volunteer? Organising bucket collections and handing out information about pancreatic cancer in your local area. Supermarkets are a great place to reach people! Hosting cheering stations with friends and family at our challenge events to support our fundraisers! As we are a small team we rely on our amazing supporters to help us cheer on our runners and marshals at our events. We have lots of one-off volunteering opportunities to be part of a cheer team and marshal at event. You can view all opportunities in your area on our interactive map. Click here to see! Did you know, the average collection tin left by a till checkout can raise on average £30 every 6 weeks?! This can really add up over time and we know that small change can make a big difference. 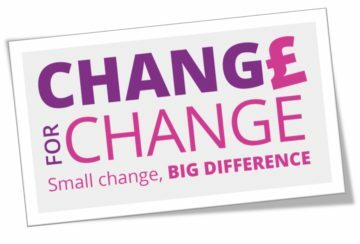 We are asking our supporters to take up the challenge and become “Change for Change” collection tin volunteer – an easy and effective way to raise vital funds and improve early diagnosis of pancreatic cancer!